The Travis County Jail's video-visiting system has been called into question by some alleging it serves as a pipeline for prosecutorial evidence. In 2012, Travis County Commissioners approved the video system – which operates in a way that is similar to the Skype program – and it was implemented in phases starting in May last year. It is operated by a vendor called Securus Technology, a Dallas-based company that operates similar systems in hundreds of jails and prisons around the country. 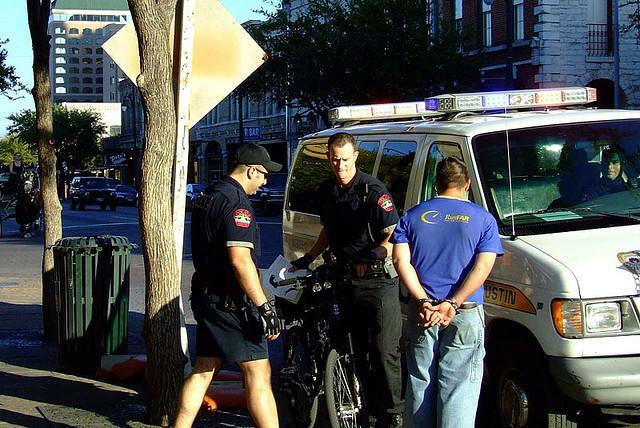 The system costs the Travis County Sheriff’s Office little or nothing, as Securus Technology pays to install and operate the equipment, and keeps a healthy percentage of the fees. The Texas Civil Rights Project (TCRP) and a second group, Grassroots Leadership, plan to bring their concerns about the system to the Travis County Commissioners Court today. They intend to ask commissioners to intervene with the sheriff’s office, which operates the jail system, to restructure facilities to allow in-person jail visits for family members and cut back or eliminate the cost to inmates’ families to use the system. The video system allows inmates in Travis County’s jail facilities to communicate with family, friends or their attorneys over a two-way video system through terminals installed in the jail. Families or attorneys must have a computer equipped with a camera and a high-speed Internet connection to use the system. Family members pay $20 for up to 20 minutes to communicate with an inmate on the system, though attorneys use the system to talk with their clients at no charge. If family members don’t have the equipment at home, officials with the Sheriff’s Office say they can either go to a public library and use a computer there, or they can come to the visitation center at the Del Valle jail and use one of a limited number of terminals set up there at no cost. The groups are also concerned that the families’ inability to see their love one in person might mean that they cannot determine if they are ill or have been abused. A spokesman for the Travis County Corrections Department says the system saves both time and money for families and the county. He said that county officials are generally happy with the way the system works, though there have been some “glitches” in it its operations. Priddy said the system went down for several days just before the Christmas holiday in December, causing a hardship for many families. Members of the two rights groups say they are very concerned about the amount of money it costs families and friends to communicate with an inmate, as many of the inmates are not serving time because they are convicted but are in jail awaiting trial because they do not have the resources to make bail. The groups are also concerned about where the money collected through the system goes. The groups claim that the system was originally proposed by the Sheriff’s Office to County Commissioners as an add-on to the one-on-one visits available at the jail, quoting Major Darren Long from an October 2012 Commissioners meeting. They claim that despite those assurances, as the jail phased in the video system beginning in May 2013, it phased out in-person visits. Both the groups and local defense attorneys are concerned that the system could be interfering with the attorney-client relationship. Hargis said that despite their concerns about privacy, many attorneys find the system a convenient way to communicate with their clients in jail. He said it allows them to remain in their offices and makes it much easier to arrange conferences than the previous system. Defense attorneys do not pay to use the video system to talk with their clients, but unlike family or friends, can still meet in person with an inmate. The Texas Civil Rights Project has gone one step further with its concerns over privacy issues, as it is notifying Securus that it needs to preserve all records, videos and other materials that pertain to its operations at the jail. The so-called spoliation letter put Securus on notice that the project plans to file a lawsuit over what it considers violations of the attorney-client privilege in Travis County. Securus currently has installed and operates systems in some 2,200 jails and prisons in the United States and Canada. It also operates a satellite-based system using ankle bracelets to track probationers, people awaiting trial and prisoners under house arrest. The privately held company’s net worth is not known but a venture capital firm, ABRY Partners, bought a 66 percent stake in the company for about $700 million in 2013. Individuals with Grassroots Leadership and the TCRP plan to talk with Travis County Commissioners this morning during the Citizens Communications portion of their weekly meeting. Since they are not on the agenda, commissioners cannot discuss any issues they may raise or take any action, though they can ask questions of the groups. Any discussion of the issues or action would have to take place at a future meeting with the item posted on the court’s agenda. Grassroots Leadership is a North Carolina-based community organizing agency that advocates for civil rights issues, particularly those surrounding private prisons. The Texas Civil Rights Project advocates for racial, social and economic equality in Texas. 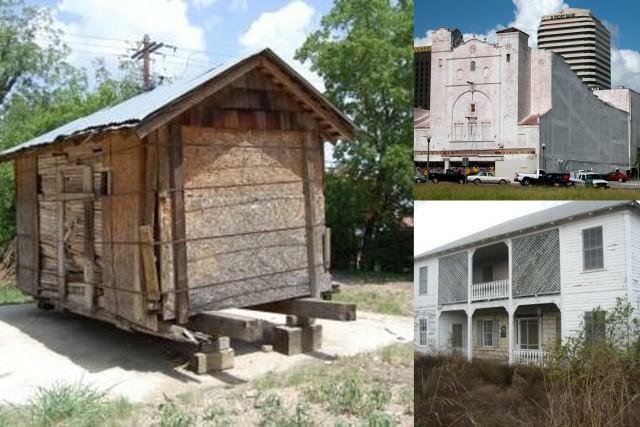 A movable jail cell that was originally constructed for the Hays County Jail is being called one of Texas’ most endangered historic places. So says Preservation Texas, a private, non-profit historical society, announcing its 2012 list of Texas’ most endangered places at an annual summit at the Texas Capitol. The jail cell remained in use until 1925 as Kyle’s city jail and, later, was moved to the Texana Village at Aquarena Springs. Due to lack of funding, the jail cell along with other buildings and artifacts were removed from the Village. At the eleventh hour, the jail cell was saved and moved to its current location in San Marcos.